Mosaic Glass has a history which stretches back for 3,000 years. 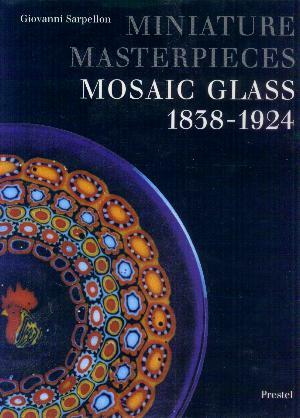 This book is devoted to the revival of this technique in the 19th and early 20th centuries by glassmakers on the island of Murano in Venice. It describes the incredible accomplishments and history of the various factories and individuals, notably the famous families of Franchini, Moretti, and Barovier. The book discusses the millefiori or murrine created by these glassworkers and offers a closer focus on the pieces bearing portraits of Italian heroes and landmarks. These murrine found their way into paperweights and other decorative objects. The art of making these figurative canes was lost until just recently when it was revived by several outstanding contemporary glass artists. 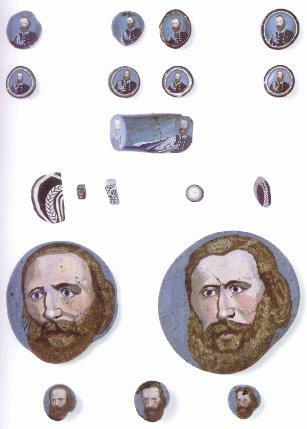 Giovanni Sarpellon is a leading authority on the subject of mosaic glass. Originally published in Italian, this is the English translation. It is a significant book that every glass collector should have in his or her library. You will be delighted by the variety of detail shown in the book. 192 pages. 1084 illustrations of which 1073 are in color. 9 1/4" by 12". Hardbound. 1995.